Arnold Schwarzenegger is easily one of the biggest movie stars of all time. Terminator, Predator, Commando, Total Recall, True Lies, The Expendables 1, 2 and soon to be 3. His hit list goes on and on. In the late 80s and 90s especially, Arnold was a blockbuster movie machine. He was also one of the first actors in Hollywood to earn truly massive paychecks. After earning just $12,000 to star in 1969's "Hercules in New York", Arnold eventually became the king of the $20 million+ single-movie paycheck. To date, Arnold's movies have grossed more than $3.6 billion at the worldwide box office. That's enough to make him the 30th highest grossing actor ever. Pop quiz: Out of all of Arnold Schwarzenegger's massive blockbuster movies, can you guess which one ended up generating his biggest single paycheck? Terminator 2? Nope. It's gotta be True Lies. I mean, written and directed by James Cameron! Wrong. Last Action Hero? Incorrect. Batman & Robin? You are Freeze-ing cold. The actual answer is pretty amazing. After winning the Mr. Universe competition three years in a row (four if you count his one year as an amateur), Arnold packed up his belongings and moved from the tiny town of Thal, Austria to Los Angeles, California. 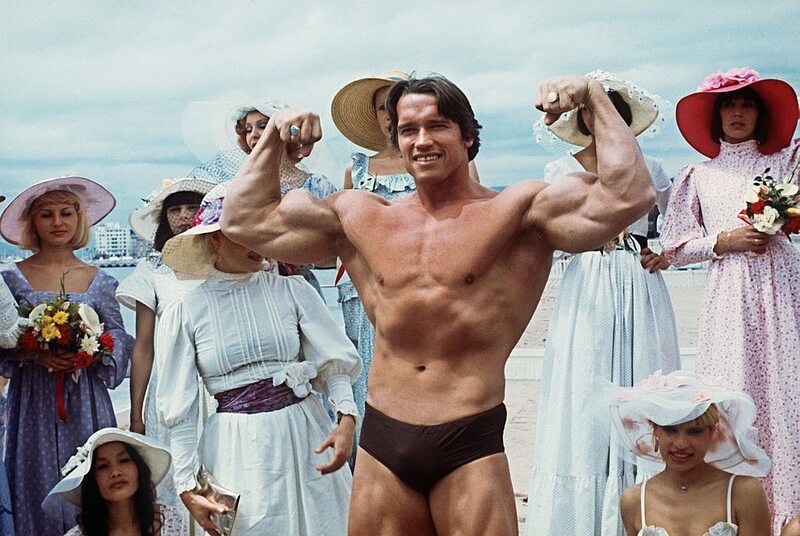 The year was 1970, and Arnold quickly found a home at Gold's Gym in Venice Beach (The Mecca of Bodybuilding) alongside his future Pumping Iron co-star Lou Ferrigno. Arnold's dream was to launch a full time acting career. But he also wasn't the typical fresh-off-the-boat, broke actor. In fact, he came to America with $27,000 he had saved from various European body building championships and endorsements. That's the equivalent of $182,000 after adjusting for inflation. While the acting career was still a long ways away, Arnold decided to put that money to good use. He decided it would be stupid to keep renting an apartment when he could simply buy the building. So that's what he did. 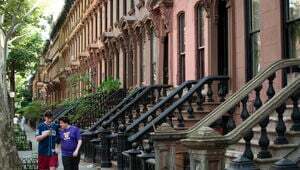 The first apartment was four units and cost $214,000. A year later he sold the building for $360,000. He immediately poured his profits into a new 12 unit building, followed by a 36 unit building, followed by a 100 unit building. Each time Arnold sold a building, he would apply the profits to the next venture to avoid taxes and increase his potential future return. By the time he was 25 years old, nearly a decade before he was an instantly recognizable celebrity, Arnold was a real estate millionaire. In fact, the real estate profits actually helped Arnold's acting career by allowing him to be pickier with the roles he was being offered. He didn't need to accept every bit part that came his way just to make ends meet. He could be patient and wait for the perfect parts to pop up. And those perfect acting roles eventually did start to roll in. In 1982 he earned $250,000 to star in Conan The Barbarian. A year later he starred in Conan the Destroyer for $360,000. Also in 1984, Arnold agreed to take a hefty pay cut to star in a little movie called The Terminator. As crazy as this sounds, the movie studio desperately wanted to cast O.J. Simpson in the roll of The Terminator, but director James Cameron did not think O.J. would be believable as a killer. So Arnold signed on and agreed to lower his normal salary to $75,000. As we all know now, The Terminator eventually went on to become a massive success at the box office. The film earned $80 million worldwide and instantly turned Arnold Schwarzenegger into a superstar. And the hits kept coming. Arnold earned $2 million for 1985's Commando, $3.5 million for 1987's Predator and $8 million for 1988's Red Heat. By the late 90s and early 2000s, Arnold was a bonafide superstar who demanded $25 million per movie. In 2003, he earned $30 million to appear in Terminator 3: Rise of the Machines. When you do the math, Arnold earned a record breaking $4000 per second of screen time in T3. A record that stands to this day. But out of all these massive paydays, the biggest of them all came down to a chance meeting at a ski resort in Aspen, and one very wise business decision. At some point in the mid-80s, while vacationing in Aspen, Arnold ran into the director Ivan Reitman. Reitman was fresh off the blockbuster success of Ghostbusters and was looking for a new project. One night after the two had some drinks, Arnold told Ivan that he wanted to star in his next big comedy. Considering the fact that Arnold was the most famous action superstar on the planet, the comedy-minded Reitman was understandably skeptical. He actually didn't even think Arnold was being serious. After hanging for a few nights at the Aspen bars, Ivan's attitude began to change. He was impressed by how gentle the muscle-bound Austrian was in real life. Arnold also surprisingly appeared to possess a natural knack for comedy. By the end of the vacation, both men agreed that upon their return to Hollywood, they would find a project to work on together. Back in LA, Ivan sent Arnold a couple of scripts that might work for their project. The one that Arnold loved the most was titled "The Experiment". The plot revolved around a set of unlikely twins who were separated at birth after a secret experiment conducted in a genetics lab. Studio executives soon expressed nervousness at the idea of a German-sounding actor starring in a movie that showed people conducting human genetic experiments that came with an ominous title like "The Experiment". Now that I think about it, I see their point. So the title was changed to "Twins". When it came to casting the other twin, who was supposed to be Arnold's physical opposite, it was actually Arnold's idea to hire Danny Devito. Ivan, Arnold and Danny met at a restaurant in Los Angeles one night to discuss the film. Everything fell into place perfectly and, believe it or not, all three men signed on to star in the movie right there in the restaurant…on a napkin! "Just give me backend. Let me Danny, Ivan and me OWN 45% of the movie as a package. Never take one dollar up front." "I felt, why would someone have to pay when they didn't know for sure if the movie was gonna work out. I take the risk, you take the risk. Let's all take the risk and let's all go to work." "The movie went through the roof internationally and domestically. I think we all made more money on that movie than on anything we've ever done, even though I had salaries of $30 million dollars on some movies… This was the biggest payday because we owned a percentage of EVERYTHING. TV rights, cable rights, merchandising… We owned that money and made a fortune." "It was one of those typical examples, that when you're not that money hungry – just doing something for the money – then things workout really well. Sometimes much better, because it's your passion for the project, it's your interest in the project… It creates a whole different relationship with the studio and your workers around you. Everyone who worked on the movie got more money than we got! Everyone was in a good mood, the movie turned out fantastic." And if all of this isn't awesome enough, during this same Nerdist interview Arnold announced that he, Ivan and Danny were officially moving ahead to make a sequel to Twins called "Triplets". In this version, Danny and Arnold find out they have a long lost twin brother… played by… Eddie Murphy! 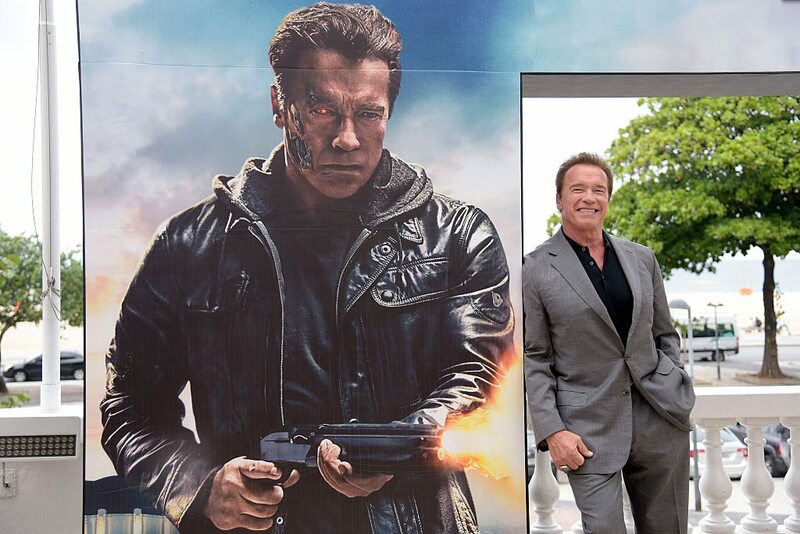 Will this movie do well enough for Arnold to break his Twin's paycheck record??? We'll see! Personally, I'm still waiting on the sequel to Jingle All The Way. And if you love Arnold and want to hear more of his amazing/inspirational life stories, do yourself a favor and download his full Nerdist interview on iTunes. Did you know that Arnold Schwarzenegger has been a multi-millionaire since his early 20s? Did you also know that his first first fortune had absolutely nothing to do with acting?